How does DevOps affect your application security? With DevOps, developers are able to weave security testing, validation, and monitoring into both application development and deployment. However, many organizations are still seeing strenuous executive objection when it comes to DevOps adoption. 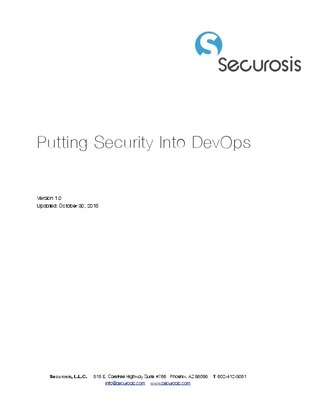 Use this guide on security in DevOps to prove how useful a DevOps adoption can be for your application security, and gain executive buy-in for your organization’s adoption efforts.